Good morning, Nashville. It’s been awhile, eh? Watch your step and don’t mind the cobwebs… It’s a little dusty in here. But hey, we’re back! Whether you’re brand new to us (welcome!) or you read us back in the day, we’re so glad you’re here. A lot has changed since 2008 when Morgan Levy and I first started Nashvillest. We were 22, the economy was tanking, a 2-bedroom apartment in Green Hills cost $650/mo., the Titans won games sometimes, we’d never even heard of pedal taverns, and everyone knew the city was right on the edge of something awesome. The next few years were crazy and amazing: We stirred up a citywide snowball fight. We started a CMA Bingo tradition. The Bellevue Beaver had its last, heroic stand. Tens of thousands of you came along for the ride with us, and we had a blast. Meanwhile, the world was starting to notice Nashville in a big way. In 2010, our city experienced one of the biggest natural disasters in its history, and we rebuilt. During that time, Morgan and I found out just how powerful this platform was that we’d grown from scratch. We were able to empower the community around us to help a whole lot of people, and to accomplish some really big, really positive things on a scale much larger than I think either of us dreamed when we were just two friends starting a blog in our living room. We had a really good run. But it was a whole lot for two twentysomethings to handle, and eventually Nashvillest took a backseat as life and careers snowballed. So why bring it back? Why now? 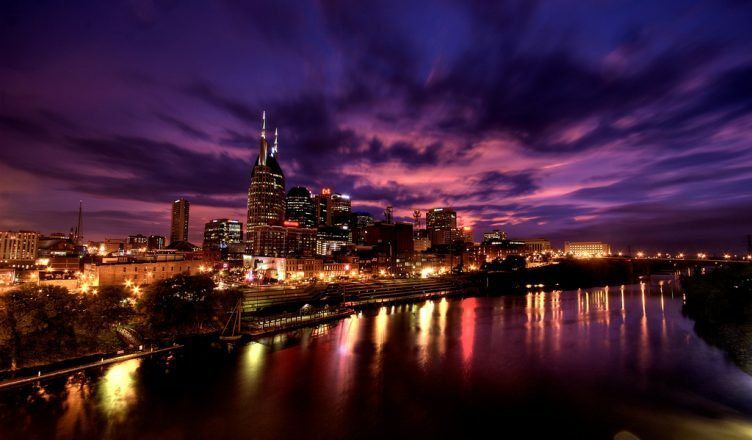 Since we stopped blogging in 2012, Nashville has grown and changed enormously. We fought for that change alongside many of you, and much of it is awesome. Some of it isn’t. Our food scene is booming; our transit infrastructure is not. Our arts scene is expanding almost as fast our income gap. And we want to talk about all of it. So what can you expect from us this year? Expect it to take a village–a village of passionate, talented, real Nashvillians who love exploring, examining and poking fun at this city from all angles. Expect that we’ll be learning and experimenting and tweaking the format quite a bit here at the beginning while we get our legs under us. My goal for Nashvillest 2.0 is to cultivate a strong, truly independent voice powered by real Nashvillians who genuinely love this city and all of its quirks, who are trying to live, work, and play here, who don’t take themselves too seriously, and who care like crazy about seeing this city thrive. The reality is that I can’t bring back exactly the same blog we launched in 2008 because life has changed–but then again, so has Nashville. And you know what? The community doesn’t need to hear from just one or two of us; it needs to hear from voices as diverse as the people who live here. But expect that in all of this, we’ll be pursuing one simple mission: To leave this city better than we found it.